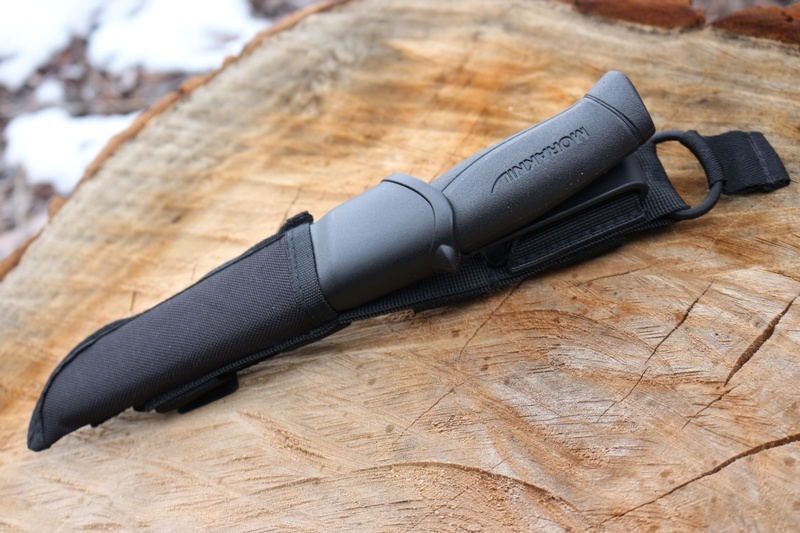 The Classic Companion from Mora with a new Molle compatible sheath. 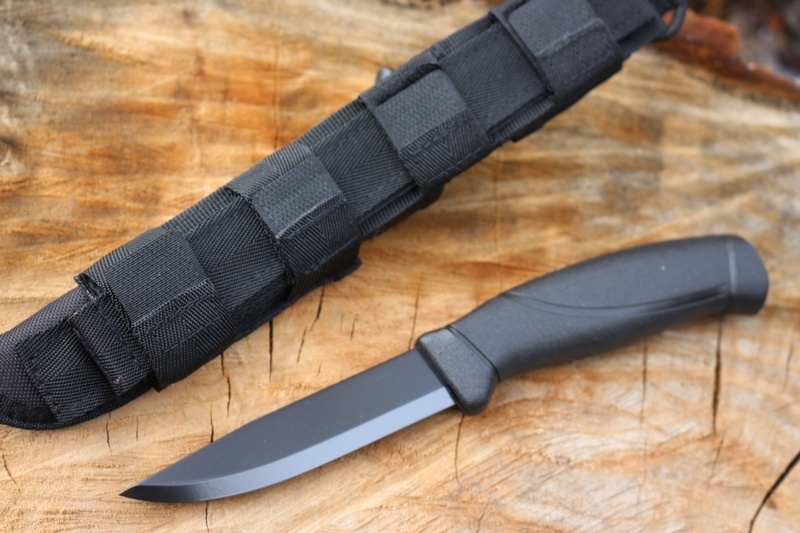 This time tested Outdoor knife from Mora, is upgraded with a nylon molle compatible sheath that slips over the standard PP sheath. This gives you more options for mounting, belt, pack etc. 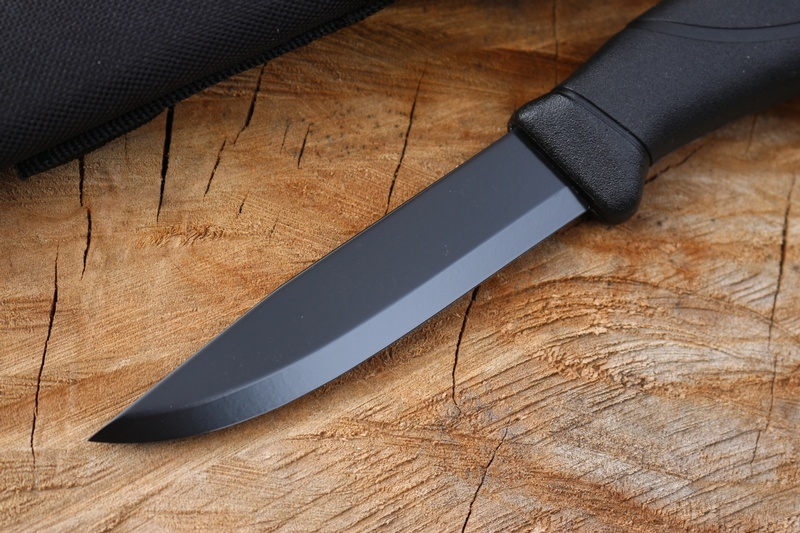 The knife is the excellent Swedish 12C27 stainless steel with the addition of a ED coat, scandi ground and 58HRC. 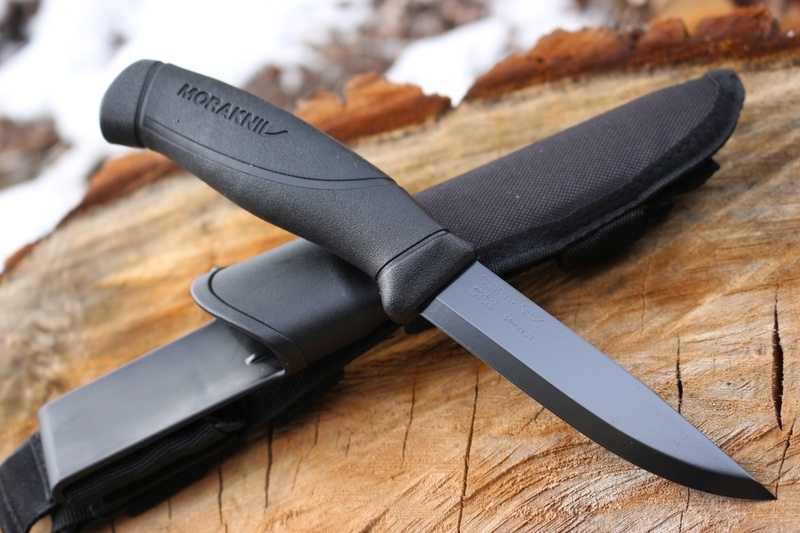 A more flexible Mora for the Outdoors! Purchase through PayPal by using the "Add To Cart" button above or use the form below to order the Mora Knives Companion Black with Molle Sheath . 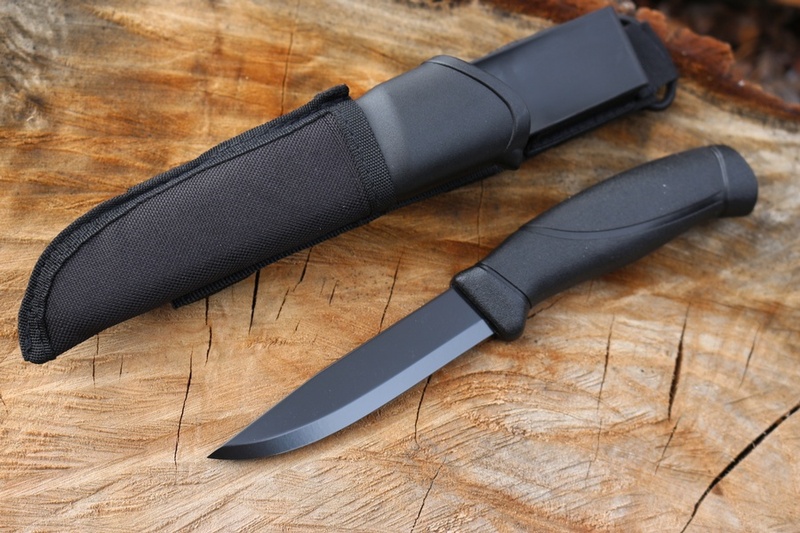 Feel free to contact us if you have any questions about the Mora Knives Companion Black with Molle Sheath .